I have been running Facebook ads since 2014, but my Facebook marketing game then, is nothing like it is now. After many years of practicing setting up and trialling Facebook ad campaigns, I feel I have now cracked the Good Ole Facebook code to getting bucket loads of targeted traffic at a very cheap cost; but it’s still early days and there’s still a lot to learn. From all the strategies that I have trialled I have come up with one that consistently generates leads at an exceptionally low cost of less than $0.50 per lead. Although this strategy has worked well for me to generate leads I feel that it can be used for any campaign whether it is ecommerce, CPA, traffic generation, sales generation, app installs or downloads. Even if you apply part of this strategy or all of it, I think it will help you reach your marketing goals but the key take away from all of this is that you must engage in split testing to make it work. I think that people who are new to Facebook marketing do not understand this critical point. So if you have tried Facebook ads before and you think it does not work or if you are new to Facebook ads, I urge you to have this at the back of your mind. In the next few paragraphs I am going to share with you my strategy that helps me to consistently generate leads at less than $1.00 and even as low as $0.50. By the way, if you are wondering whether the strategy can help generate sales, the answer is yes. One campaign that I started only 7 days ago has already generated over $300 in sales from an ad spend of $52. Before I get into the strategy, I want to make sure and highlight this important issue that when it comes to advertising on platforms such as Facebook, Google AdWords or Bing, it is important to remain patient. It takes Facebook some time to learn who to show your ads to. That period of time is dependent on how many people they have already shown your ads to or how many conversions your ad has created. So when you create an ad you will see something that looks like this. I usually let an ad rest for 7 days without touching it, to see how it performs. If I do not get any conversions within 7 days, I turn off the ad and try again. Some people leave ads to run for 14 days before they make any decision on it. I suppose it is dependent on your budget but for me and based on my experience with Facebook advertising, I usually get conversions with a 7-day window, so this is my starting point. I therefore recommend that you do not panic or get frantic if you have not seen conversions within 3 or 4 days. Give your ad at least 7 days to work for you. The amateur Facebook advertiser would select a few interests, create an ad and wait to see if there are any conversions. The problem with this, is that it may take longer for Facebook to understand who to show your ad to, to help you generate the conversions you are after. What has worked better for me, is creating an engagement audience using ad sequences. Essentially, what this involves is creating a series of ads that are phased to introduce a concept to an audience so they can interact with my brand, then based on the interaction showing that audience an offer and asking them to take it. This strategy works well with any niche and is useful if you are starting a brand in a niche that you know nothing about. This is particularly helpful for ecommerce or affiliate marketers who want to test a product that they are interested in selling but do not know the demographics or behaviour of the ideal audience. To build my engagement audience, I really like using videos. I choose creative common videos from YouTube that are engaging and teach my audience something. When I am looking for videos, I pay attention to the video view rate and the length of the video. For example, let’s say I would like to build an audience in the karate niche to sell karate gear. 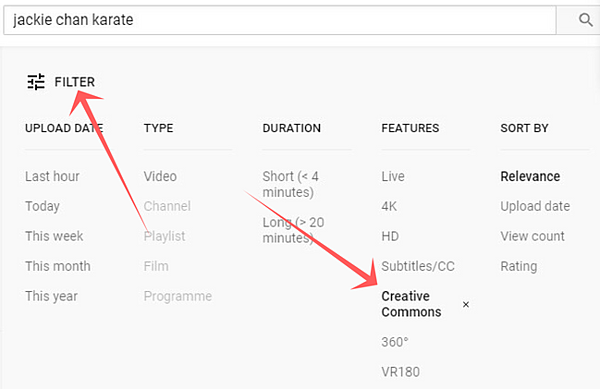 When I am at YouTube, I first enter my keyword and then filter the results based on the creative commons criteria. This tells the user that there will be no copyright violation if you were to use the video for commercial purposes. Next, I look for videos that have a high video view rate. Anything in the hundreds of thousands or millions is a good indicator that the video might be interesting and will interrupt a Facebook user to spend some time watching it. A short video is also important. Select one that is no more than 5 minutes. Facebook is a fast-paced environment so you want to give the user what they want in as little time as possible and the shorter videos usually accomplish this. Once you have selected the video that you want to use, use Facebook’s video views objective to create your first ad. The purpose of this ad is not to sell anything or ask for an opt-in. 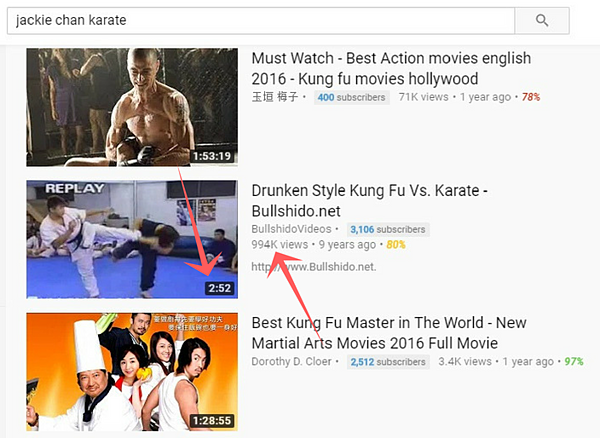 The purpose of this video is to build an audience of people who are interested in karate and the concept is, if persons watch at least 75% of the video, they are more than likely to be interested in the video and the subject. When selecting interests for your adset, you should select interests that are directly related to the subject matter. Therefore, for this particular ad, targeting people interested in karate, my interest targeting will look something like this. Once you have set your ad to go live, I recommend leaving the ad to run to until it gathers at least 300 people who have watched at least 75% of the video. The number does not have to be more than 300 but I think a number like this is sufficient data for a more targeted audience. If for whatever reason you prefer to use a blog post, the same concept applies. For the blog post strategy, you can write a blog post that is relevant to the product or offer you want to promote. A traffic objective campaign is best, as you want to generate as many visitors to the blog post as possible. The more visitors or clicks that you get to your blog post the better. You can then use that data to create a targeted audience, as I will go on to show in the next paragraphs. With the first stage of this strategy out of the way and provided your pixel has gathered enough data of video views or clicks to your blog you can now create a custom audience. 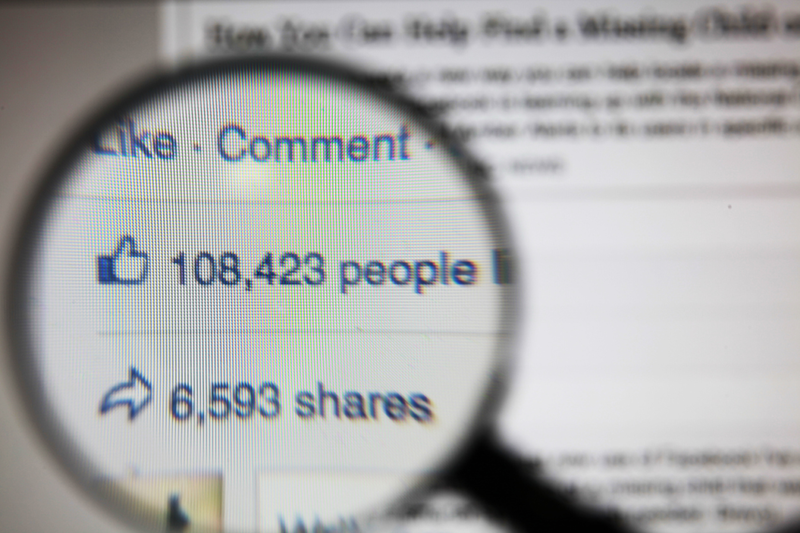 A custom audience is an audience you create based on data you provide to Facebook. It can be an audience based on people who engaged with your content or people in your email list. For this strategy, we will use data from the video views and traffic campaigns to create our custom audiences. If you do not have enough data, it is likely that Facebook will advise that your audience is too small. Do not worry about this. Wait until you have more data by letting your campaigns run for longer or increasing the budget and try again. Once you do have enough data and Facebook gives you the green light, you are ready to use this audience for retargeting. You will then be able to create new ads and target the people who have already seen your first posts. The beauty of this, is that they now know something about you, as they are familiar with your brand. Retargeting them is likely to generate a higher engagement and therefore give you lower cost campaigns. I would like to make it clear however that not always do your campaigns generate low cost results. This is where testing variables such as image, subject line or ad copy is necessary. The best type of audiences from my experience with testing this strategy is lookalike audiences. Facebook has many data points on its users that it can create audiences that look like your target audience. 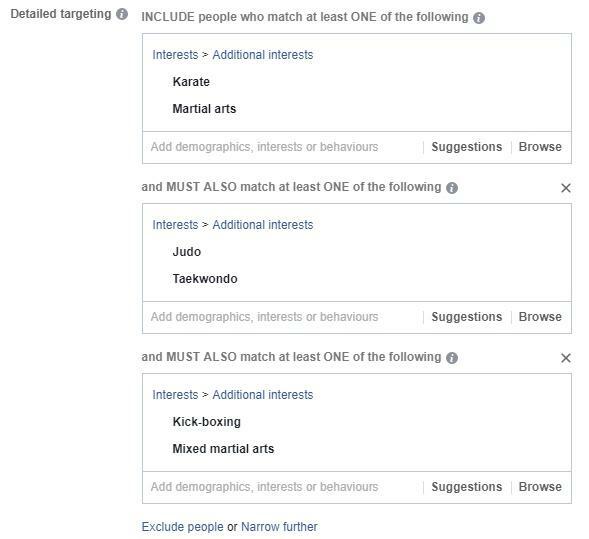 For example, going back to the audience created for the karate niche, Facebook will examine its users' behaviour on Facebook. They look at what interests they like, whether they are people who are more likely to click on a link, watch a video, opt in for a free offer or buy a product. I have found that lookalike audiences help my campaigns perform better. 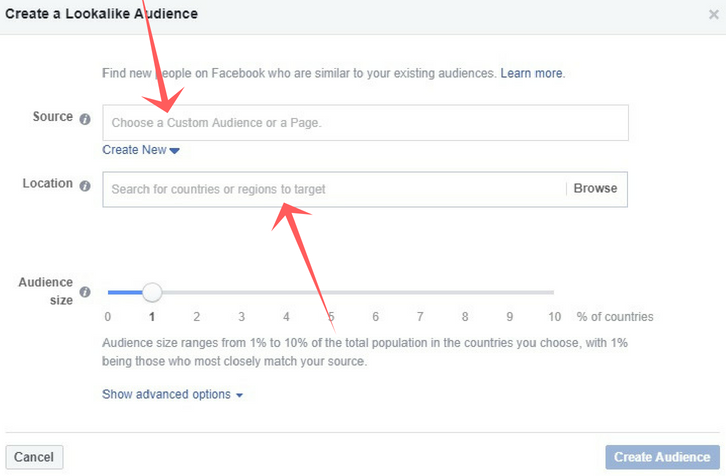 To create your lookalike audience start with your custom audience as the base audience and give Facebook a country criteria that they should source your audience from. Facebook will then compile a group of people who are likely to resemble your custom audience. I recommend creating three audience sizes. You can create up to six but I find that the first three sizes work best. Of course, this must be tested in your own ad campaigns. Once you have created your audiences, it is now the best time to send your new audiences to your product or offer. The custom audience is likely to convert because they have already engaged with your content. I do however find that custom audiences produce the smallest conversions in my ad campaigns. Please make sure to test this yourself. Even though you have created a look alike audience and they consist of people who have never seen your brand before, they are more likely to convert. I cannot explain why this happens but from my experience since I have been implementing this strategy, lookalike audience simply convert easier and in greater numbers. You can direct these audiences to a lead page, or product page for a sale. When creating your ad make sure that you test as many images, videos or ad copy to generate the best results. Once you start generating leads or purchases remember that you can create more custom audiences and look alike audiences just as I explained above. It is only a matter of duplicating the entire process. I would love to know how this strategy works for you. Guest article by Dawn-Marie Nesbitt. Dawn-Marie Nesbitt is a blogger and digital marketing strategist at I Am Dawn-Marie. She helps small businesses and new entrepreneurs grow their business online with digital and social media marketing strategies. Aside from work, she loves to travel, has an eye for graphic design and is a major foodie.